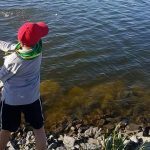 Cub Scouts youth aged 8-10 build self-confidence through fun outdoor adventures like hikes, weekend camps and canoeing. 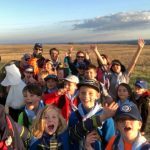 To welcome our new Jr. YSP Cubs for the 2018-2019 Scouting Year, these Cubs reflected on their recent Scouting excursions and camps, sharing their adventures to practice their writing and storytelling skills! 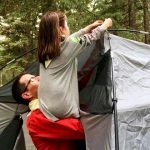 “At Cub Camp, one of my favourite things was putting up the tent because in the end, we realized that no one had done up the bow yet to keep the poles together. We got a leader and I go to sit on his shoulders to do up the bow! 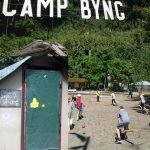 “On May 25th I attended the Burnaby Challenge Camp at Tynehead Regional Park. 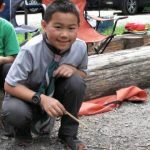 In challenge camp, we did many different activities from hiking to tying knots, but one of my favourite things that we did was lighting a fire with a match and kindling. I learned to hold a match properly—you can’t put the match upside down because if you do, the fire will burn your hand. “When I was cleaning up the park for our Pack’s clean-up day, I found a plastic bag. Pretty ordinary right? So I picked up—it wiggled. One of my Scouters, Hathi, was like ‘There is a fish in there!’ So I put it under the water. 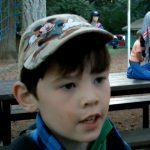 “This year’s adventures took my Cub Pack to Camp Gilwell. It had lots of activities including: tug-of-war, knot untying, four-man ski, and my favourite—the cooking competition! For the competition we made Italian themed food. Carrolynn, Zach, Garrett, and Greyson made little Italian flags for the desserts, Tejan made the salads, Abby made the desserts, and me and Corey made spaghetti. 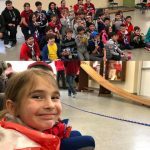 “Of all the camps this year, Kub Kar Camp was my favourite. We all got a piece of wood that was about 10 cm long and 5 cm wide to make our car. No two cars were alike. Since I love birds, I made mine in the shape of a bald eagle. 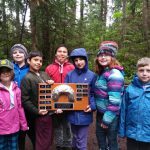 “This past winter, my Cub Pack went to Winter Camp at Cypress Mountain. 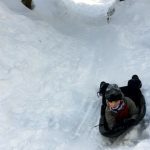 My favourite thing was the sledding because we made an awesome toboggan run. There were ups and downs and ridges and turns. It was very very very long! Everyone went on it including the Scouters and the parents. 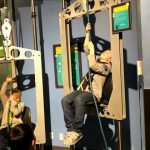 “Our pack went to the Telus World of Science for the Science World Camp-In. 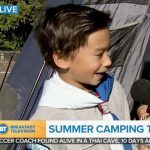 This was my first year with Cubs and my first sleep-over too, and what a great first time! 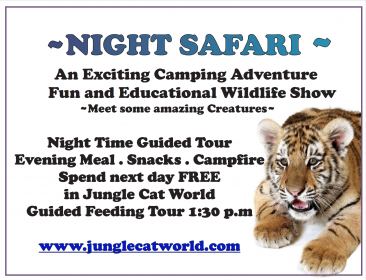 In early evening, we met up with other Scouts and partnered up to explore all of the exhibits on our own. It was pretty awesome being on our own with a partner and choosing what to see. 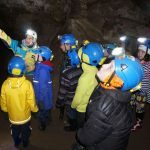 “The time I slept in a cave with my Pack was so much fun. It took an hour and a half to drive to the cave and when we got there it was raining, but then we went ziplining! After we had that amazing experience we got to go on a tour of the cave—we saw this cool hole with water that looked sooo pretty.